The character of Cavalli is the quite amazing sense of place, nestled on a prominent ascent between Somerset West and Stellenbosch with views of Cape Town to the West and the majestic Helderberg mountain range to the East. Cavalli is adding new life, work opportunities and inspiration to those that work there and the whole local community. The style of this garden is determined largely by the strong lines of the access roads, paddocks and buildings (which comprise of a large barn housing stables and an indoor arena, a Managers house and pavilions on either side of an outdoor arena with bleachers). 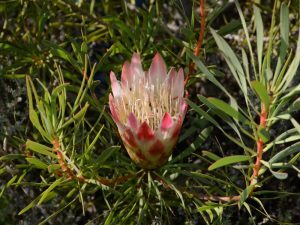 Their statement is functional and their juxtaposition* to the landscape is enhanced by the natural plantings of fynbos and by the majestic Helderberg Mountains. In order for the garden to sit comfortably alongside the structures, roads and paddocks the plant selection is a careful balance of large trees (Some exotic), mainly indigenous shrubs, perennials and groundcovers. A natural swale directs the surface rain water off the road and surrounds to a retention pond in the form of a small dam at the bottom of the road. Large rocks and river boulders create ponds and slow down the water flow within the swale. Ornamental grasses, water loving plants and flowering perennials spill over onto the edge of the road. A twenty meter wide planting of plane trees, shrubs and fynbos further strengthens this swale. To the passer-by the appearance is that of a working farm (which it is) with an Olive grove, Lavender fields, Vineyards and Citrus. The Entrance gateway floats on the boundary line and the visitor is directed toward the avenue up past the paddocks to the main Barn. A formidable avenue of Pin oaks add balance and character to the barn, besides welcome shade. The manager’s cottage looks over a formal garden toward twin dams and still further down to a visitor’s cottage and meadow garden. 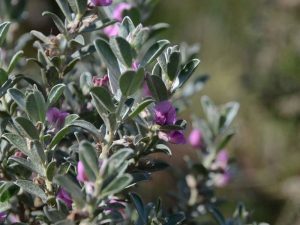 Other indigenous plants have been chosen to meld in with the endemic vegetation; seed has been harvested from the endemic species pool to be incorporated into hydro-seeding new planting areas. 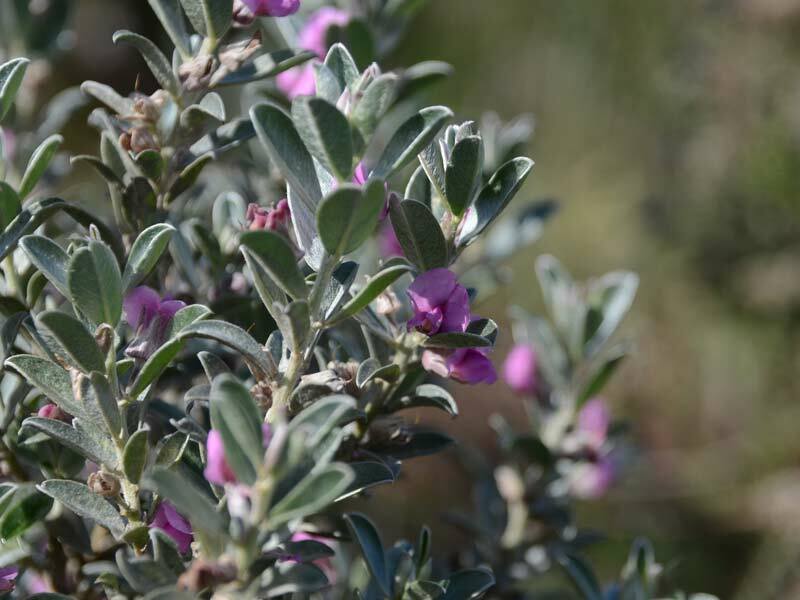 The main background planting consists of carefully constructed fynbos groups - colour coordinated with particular detail to texture and variety. 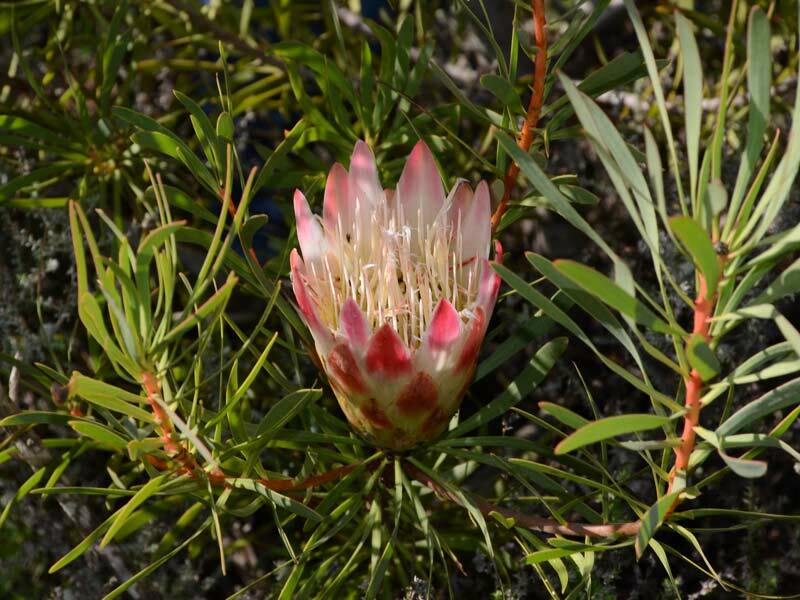 The existing fynbos lands are interspersed between the working vineyards, dams and waterways, farmland, paddocks and abound with a large diversity of wild flowers, wildlife and atmosphere. Sightings of Guinea fowl, Chameleon, Waterfowl, Steenbok and other wildlife are a regular occurrence.